Sponsoring a child’s education is one of the greatest gifts you can give to a child in Mukuru. AmericaShare works in Mukuru kwa Njenga, one of eight villages that make up the second-largest informal settlement in Nairobi, Kenya. AmericaShare is dedicated to improving the lives of the children living in Mukuru. 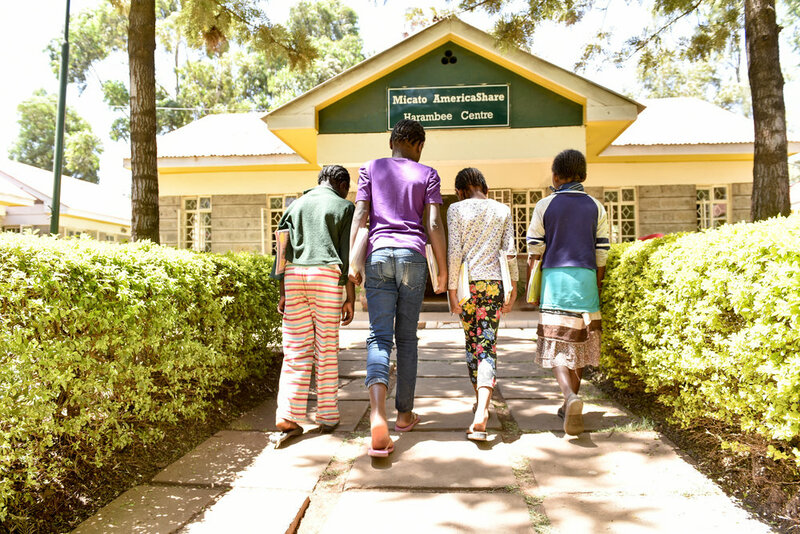 Your contribution will support AmericaShare’s work in Kenya which includes educational programmes such as the Harambee Centre Library, Computer Centre, the Nursery School Lunch Programme, Lacrosse, Virtuoso Upchurch Learning Centre, and the borehole. 3 in 10 children in Kenya drop out of primary school.